In a move that will draw comment from many eager to preserve what they see as Taiwan’s independence, President Ma believes rapprochement with Che mainland will other nations and stronger trade with Taiwan, according to President Ma Ying-jeo. Ma’s lead with voters has narrowed as slower growth in the export-reliant economy deepens concern over a wealth gap the opposition blames in part on Taiwanese jobs going to the mainland. Victory at the polls may turn on how close Taiwanese want China ties to be, said Alexander Huang, a professor of strategy and war-gaming at Tamkang University’s Graduate Institute of International Affairs. With the impact of Europe’s debt woes contributing to the weakest gain in exports in two years last month, Ma said in the Dec. 23  interview that he expects the crisis to worsen in the first quarter. In the hour-long session, he called on China to remove missiles still pointed at Taiwan, said his administration isn’t considering investing in Chinese bonds and cautioned against overreacting to the death of Kim Jong-Il in North Korea. Ma, 61, leads Tsai Ing-wen, 55, chairwoman of Democratic Progressive Party, by 44 percent to 38 percent, according to a survey released by TVBS Poll Center today. The poll of 1,257 people taken Dec. 26-27  had a 2.8 percentage-point margin of error. Ma’s margin has shrunk from a peak of 9 percentage points in October. Relations with China have reached their warmest in more than six decades since Ma defeated the DPP in 2008, easing eight years of heightened tensions and rhetoric across the Taiwan Strait. In a poll commissioned by CLSA Asia-Pacific Markets last month, 39.5 percent of voters said Ma is more capable of leading Taiwan to stable economic development in the face of a global slowdown, compared with 25.1 percent for Tsai. “The KMT campaign is telling voters that a peaceful cross- strait relation is the mother of all prosperity,” said Huang, referring to Ma’s Kuomintang party. The benchmark Taiex (TWSE) stock index has declined 21 percent this year, and the local currency has weakened 5.6 percent since reaching a 13-year high in May . The Taiex was down 0.4 percent as of 2:13 p.m. local time, while the Taiwan dollar was little changed at NT$30.304 to the dollar. Taiwan signed its first trade agreement with China last year and has lifted a six-decade ban on direct air, sea and postal links. The deepening ties have seen more local companies invest in China, with manufacturing jobs migrating across the strait. In the first 11 months of the year, outbound investment to the mainland reached $12.4 billion, a gain of 22 percent from the same period a year earlier, according to data from Taiwan’s investment commission. The island ended a mainland-investment ban in 1991. Since then, officials have approved 39,509 projects, data compiled by the investment commission show. Taiwan’s Foxconn Technology Group, the maker of Apple Inc. iPhones and iPads, employs more than 1 million people in China alone. Taiwan had 2.97 million manufacturing jobs as of November. Ma said that while commerce with China has increased, so has that with other countries. Shipments to the mainland made up 42 percent of the total last year, little changed from 41 percent in 2007 before Ma took office. A survey of 389 chief executive officers by Taipei-based Commonwealth Magazine showed 63 percent polled supported Ma’s cross-strait policy. In the survey, conducted between Nov. 28 and Dec. 15, 46 percent said the trade pact with China has had no impact so far on their companies, though they expect it may be beneficial in future. Mainland visitors jumped to 1.6 million in the first 11 months of this year, up 6.2 percent from the year earlier period and overtaking Japan as Taiwan’s biggest source of overseas tourists. Tightening ties doesn’t extend to any plan to invest a share of Taiwan’s $388 billion of foreign reserves in Chinese government bonds, Ma said. He said the island needs “to do things in a step-by-step fashion.” By contrast, countries from Japan to the Philippines have expressed interest in adding yuan securities to their reserve holdings. In an interview with Bloomberg News in November, Tsai said that a peaceful relationship serves both sides, and that she wanted to focus on domestic issues. Tsai, who has avoided talk of independence during her campaign, says closer economic links with China could result in Taiwan bartering away its autonomy. The president rejected the argument, saying Taiwan and China have signed 16 agreements since he took office and “all our efforts would be in vain” if cross-strait relations change. Since signing the Economic Cooperation Framework Agreement trade deal, Taiwan reached an investment pact with Japan, its second-biggest trading partner, in September and is in talks with Singapore, New Zealand, India and Indonesia, the president said. Taiwan also wants to expand its share of China’s markets as the mainland leaders try to boost domestic consumption. Ma, the only son in a family of five children, moved from Hong Kong to Taiwan a year after he was born. He became Taiwan’s youngest minister of justice in 1993 after a stint on the newly established Mainland Affairs Council. In the 2008 presidential election, Ma beat the DPP by pledging to abandon a pro-independence stance in favor of strengthening economic relations with China. He said in October he hopes to sign a peace deal with mainland China within the next decade if he gets public support. 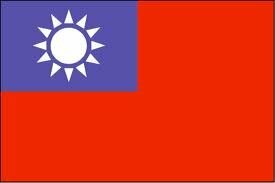 China regards Taiwan, ruled separately since a civil war ended in 1949, as its own territory and blasted a push by former President Chen Shui-bian of the DPP for recognition of the island as a sovereign nation during his tenure. Tsai, who has been campaigning on promises to narrow the wealth gap and contain property prices, said Ma’s administration had failed to look after the less privileged. The president said that his government has implemented measures to curb property speculation and that the wealth gap was largest in 2001 when the opposition was in power.